The CEO and co-founder of Menlo Park's RedLock says Friday's global cyber attack is an "armageddon of cyber attacks." MENLO PARK, Calif. (KGO) -- A global cyber attack has now hit 100,000 computers across the world. It's crippled Britain's healthcare system, and Friday the effects are being felt in the U.S. 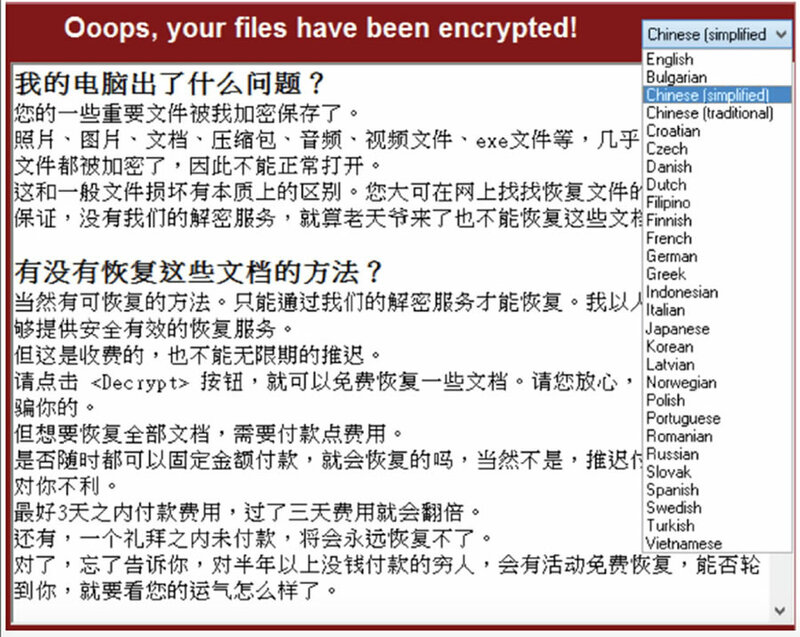 This is an undated screenshot of malware associated with a global cyberhack. There's a countdown, and a click here to pay button. That's why it's called ransomware. "This is really an armageddon of cyber attacks," said CEO and co-founder of Menlo Park's RedLock Varun Badhwar. The malware used in this massive attack was developed by the NSA and leaked to the public. 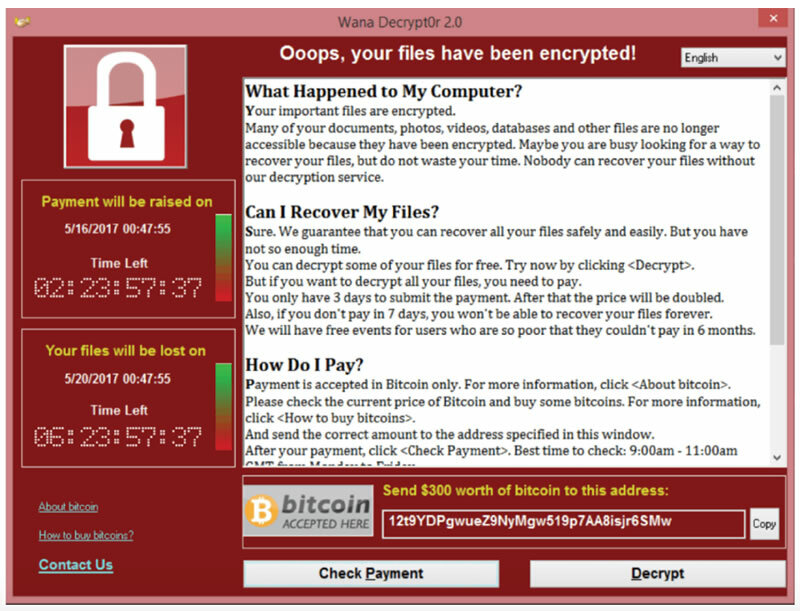 "Which has now been taken and weaponized into a form being used as ransomware," Badhwar continued. The Redlock CEO says this attack shows no one is safe. Britain's hospitals were hit first. With their records and files encrypted, they were so paralyzed patients had to be turned away. A computer science professor at San Jose State University said it was incredible how quickly it spread. "30 minutes later, it's all Europe," said Melody Moh. "And then 30 minutes later, it's Russia, then FedEx." At least 99 countries have been hit including the U.S. FedEx is the only American company hit so far. It released a statement which reads in part: We are implementing remediation steps as quickly as possible. We regret any inconvenience to our customers. Tisha Fathi was dropping off a package in San Jose. "I worry about being a customer of everything," she said. Experts say this attack could have been prevented. Microsoft released a patch on March 14, but some clients didn't install it. Now they have to hope for a fix, or pay the ransom -- $300 to $600 per device. "Even if you can get rid of the malware, it doesn't bring your files back to life," Badhwar told ABC7 News. "So unfortunately now it's a waiting game." The Department of Homeland Security says it's aware of the attack and ready to lend technical support in the United States, and internationally. --Update your systems to include the latest patches and software updates. --Do not click on or download unfamiliar links or files in emails. --Back up your data to prevent possible loss, whether you are at a home, work, or school computer. DHS also leads the federal government's efforts to protect civilian executive branch agency systems and networks. In partnership with each agency's Chief Information Officer we are ensuring our own networks are protected against the threat. Click here for more information on how to protect yourself from cyber attacks.